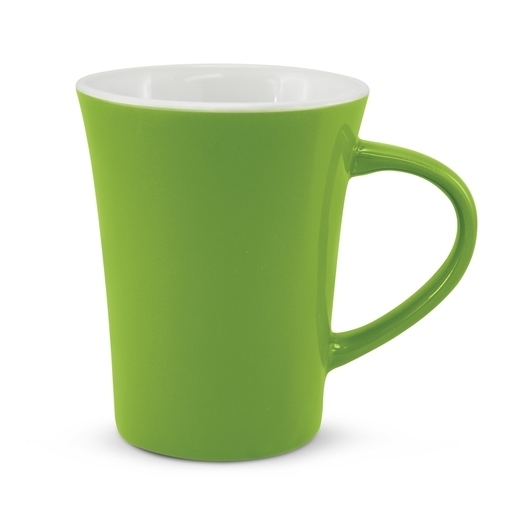 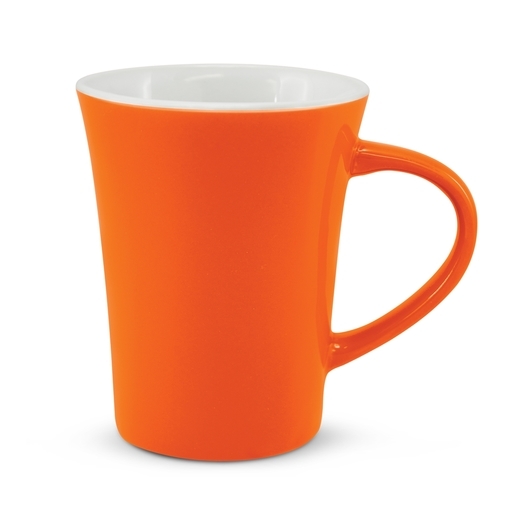 Contoured round stoneware coffee mugs available in a stunning range of bright colours. Savour your favourite coffee with one of these contoured coffee mugs. 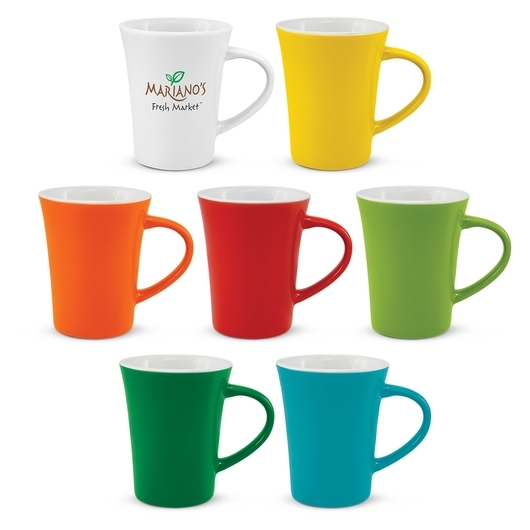 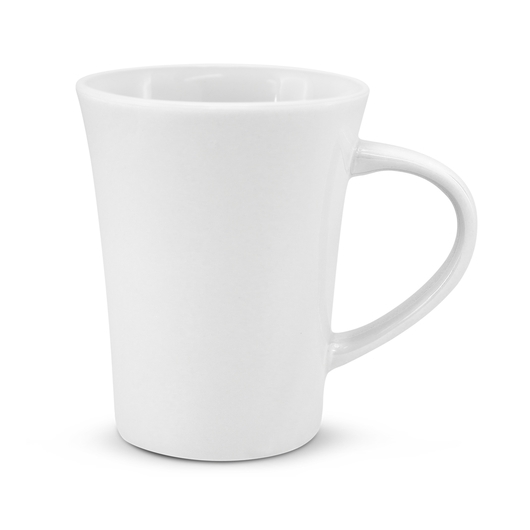 These 300ml round stoneware coffee mugs feature a white coloured inside and a stunning range of bright colours on the outside. They are manufactured to be dishwasher safe including the branding options and are presented in a black gift box.